i realise this album came out a few months ago, but hey, better late than never, especially as this is easily one of my favourite albums of the year. of course soulsavers and ireallylovemusic go way back, but that’s not the point. you see, having started off as a solid downtempo electronic act that proved their excellence through some ear catching remixes (doves, broadway project). a self released debut album, tough guys don’t dance, and accompanying ep, closer, the sound scared rather than soothed, but placing their own productions alongside the soulsavers soundsystem mixtapes it was clear that rich machin and ian glover were on a mission, and as each mixtape came out, it became apparent that they were on a path to the more organic, darker side of music. and so, by the time they came to release their first major album release, it’s not how far you fall…, with guest vocals such as gravel voiced mark lanegan, the truth was finally out. the lads were all about the widescreen sounds, matching a love for deathly gospel, downtuned feedback’d guitars, soul enriching lyrics, and an obsession with the battle of good over bad. 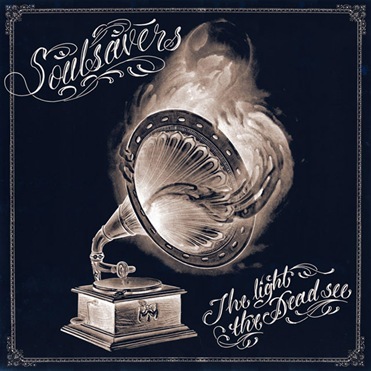 the album was then followed up by the well received broken, with the vocals again mainly by mark lanegan, it cemented soulsavers status as a production crew who knew how to get the best out of their stella cast of vocalists and musicians. it was while they were out promoting the album that they ended up supporting depeche mode in america, leading to david gahan declaring his love for the soulsavers mood enhancing sounds. a friendship blossomed, and promises were made that the two would collaborate. but rather than this being just a media luvvy kiss off, they actually went through with it, and this album being the final result, justifies all that has been before. again, with an album title like this, and the beautiful cover art, you can tell even before you hit play that this is not an album for a tupperware party, but one to soak up when the moon is at its most potent. the combination of acoustic guitars, church organ, gospel styled backing singers, and some sumptuous orchestration (arranged by friend of danger mouse, daniele duppi no less !) matched with david gahan’s well recognisable vocals is truly sublime. lyrically it’s still all about religion, loss, broken souls etc, but there is a definite sense of hope and redemption amongst the unrelenting despair. no point in singling out any particular highlights as this is one of those rare treats where the whole album is one highlight after another that reveals its majesty more and more with each subsequent listen. album of the year ? This was written by mark e. Posted on Tuesday, October 9, 2012, at 7:14 pm. Filed under albums. Bookmark the permalink. Follow comments here with the RSS feed. Both comments and trackbacks are currently closed.